Our Budapest Free Walking Tour will show you the main landmarks and every attraction that this city offers to the visitors, an incomparable rich cultural heritage and stunning views. Our english speaking guides will unfold everything about the turbulent past and the exciting present of Budapest. 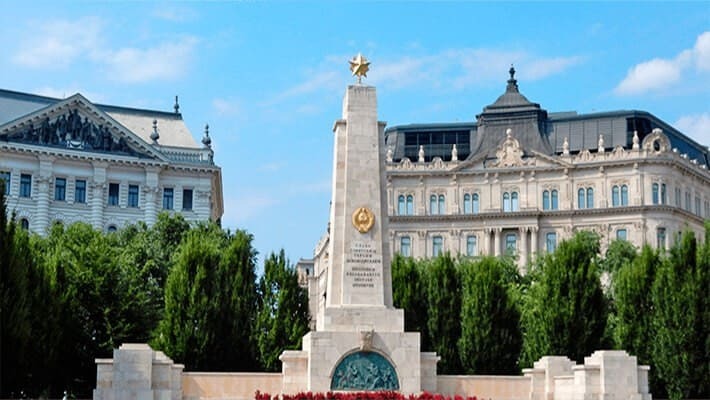 We will take you around the most emblematic places, such as the Parliament, the famous Chain Bridge, also we can walk through the Liberty Square. Between majestic buildings and art nouveau style, we will find one of the few remaining monuments of the city to the Soviets. We will also tell you the best anecdotes on our Budapest Free Walking Tour, as you can contemplate the impressionist style of this colourful and contrasting city. Definitely, this is a fundamental journey back in time to get an idea of how Budapest is. Book this Budapest Free Walking Tour to have a great time with us while we explore the jewel of the Danubius. Planning an activity for more than 9 adults?